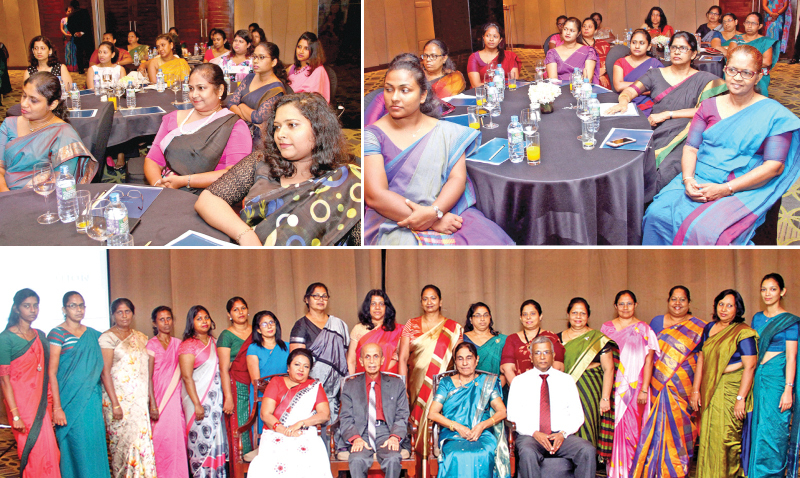 Academy for Administrative professionals, explored the careers with a seminar/workshop at Colombo Hilton recently commemorating the 14th anniversary. The beneficiaries were Office Managers, Executives, Co-ordinators, Personal/Executive Assistants and Secretaries. The training focused on novel topics, beyond routine, but exceptional survival skills in constantly developing office environment. Sanasa Development Bank PLC was the exclusive platinum sponsor of the event. Professor Emeritus Kusuma Karunartne, University of Colombo, Chief Guest delivering the key note emphasized the thirst for knowledge, hunger for technology, exploration on industrial changes and being educative. Dr Dissanayake of Colombo University entangled the audience on `Occupational health and safety’. Little ignorance may cause major disasters and even might have to pay by life, he said. He insisted on the need of self-awareness, adhering to rules and regulations, at home, society, workplace, travel, basically everywhere, every moment. Asoka Walpitagama RMIT qualified IT Specialist excelled the latest additions to MS Office which was well received by the participants. MrsGayanee De Alwis Chairperson Chartered Institute of Logistic and Transport, lead the participants on a very interesting workshop emphasizing that preparation, follow-up and execution is the result of professionalism and stress free life. Shanith Fernando multifaceted designer and lecturer of AAP attracted the audience interacting and engrossing on social stability and professionalism through image and mannerism. The workshop methodologies were lectures, interactive work sessions, group activities and Q&A. The presenters of the day comprised of students of AAP namely Dilushi Dissanayake, Anderyn Keyt, Iresha Kumaragama, Nilupa Balalle and Priscilla Albert.